It’s very common today for patients to have a big fear of going to the dentist. In fact, about a fifth of people report that they deal with some kind of anxiety when it comes to going to the dentist. For some, this fear and anxiety may keep them from going to the dentist for preventive care or very basic dental procedures. If you’re dealing with fear and anxiety that comes with visiting a dentist, you may want to consider finding a sedation dentist at Forest Hill, Box Hill, Blackburn or surrounding areas. With sedation dentistry, you can find a way to overcome your fears and anxieties to make sure your teeth are well taken care of. When visiting your area sedation dentist, you’ll find that different levels of sedation are available. 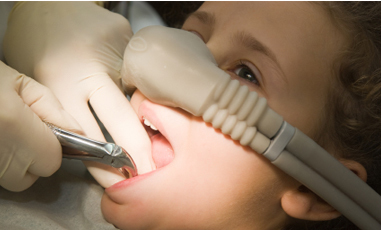 Dentists will help you figure out what type of sedation will work best for your needs. The three common methods of sedation delivery include oral, inhalation and intravenous delivery. Oral sedation includes the use of ant anxiety medications that are taken orally. Inhalation sedation often makes use of nitrous oxide to provide a calming effect. For deeper levels of sedation, intravenous sedation uses an intravenous needle to deliver medications right to the blood stream for sedation purposes. How can you decide if going to a sedation dentist in the Forest Hill, Box Hill or Blackburn area is the right choice for you? Sedation is an excellent option for those who have a hard time staying calm during dental procedures. The following are a few examples of when your dentist may recommend that you undergo sedation dentistry. Although sedation provides many benefits, it isn’t the right choice for every patient. Make sure that you are comfortable with the idea of sedation before deciding to undergo this option for dental procedures. When used by a high quality sedation dentist in a good dental environment, sedation dentistry can help you get the dental treatment that you need without worrying about the anxiety that often comes with visiting the dentist. You can enjoy a comfortable experience and in most cases, you won’t even remember the procedure.